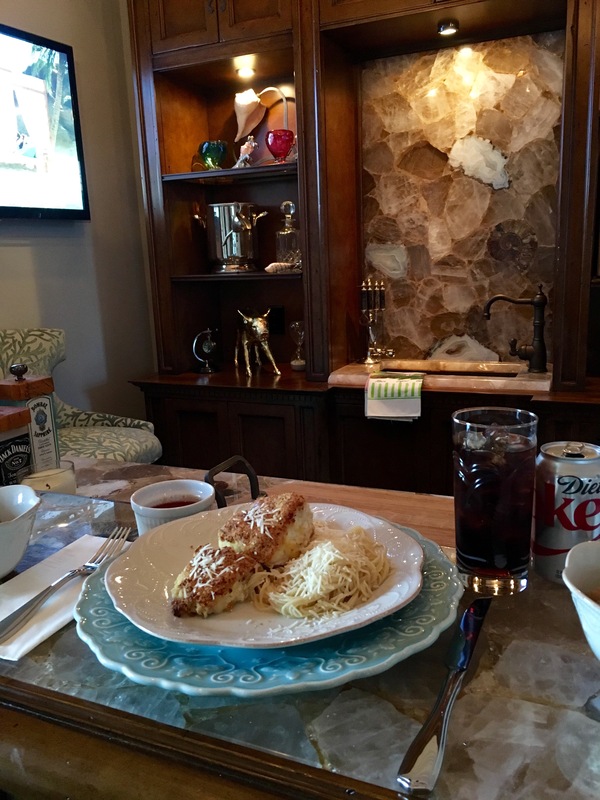 This grouper recipe is one of those meals that can cure all. 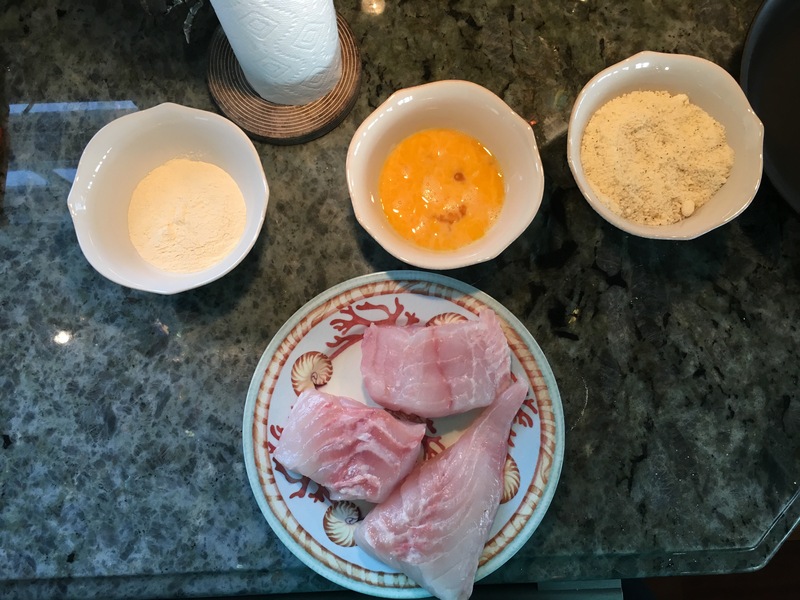 Even if you aren’t a big seafood lover, grouper is a nice mild white fish that makes you wanting to go back for more. Over the years our recipe has been shifted and perfected to the extent we don’t use an exact recipe so I’ll try to ballpark these measurements. If you’re in the Atlantic Beach/Morehead City area I highly reccomend getting all your seafood from Blue Ocean, a tiny blue shack a block down 21st Street off of Arendal Street in Morehead. 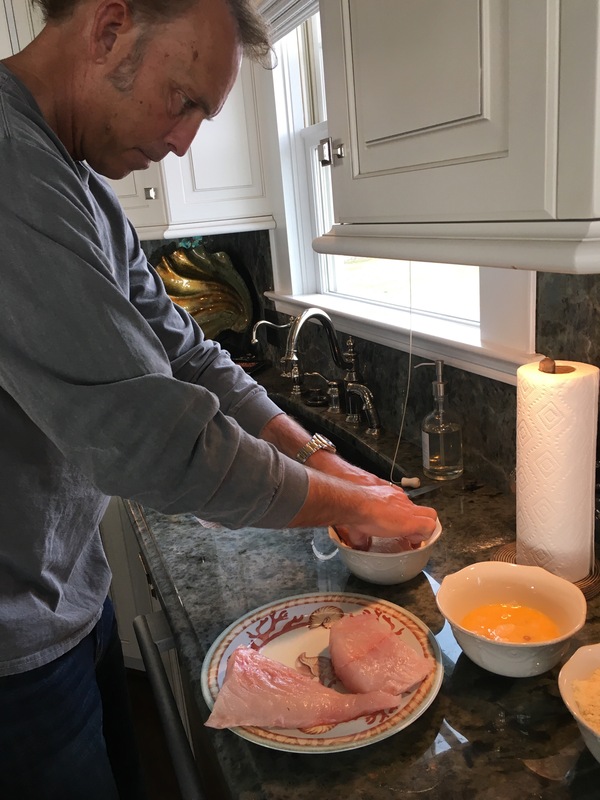 It’s completely personal preference but we always get 1.5 lb of grouper filets and be sure to ask them to cut them fresh off the fish. You might get an eye roll but I promise it’s worth it. 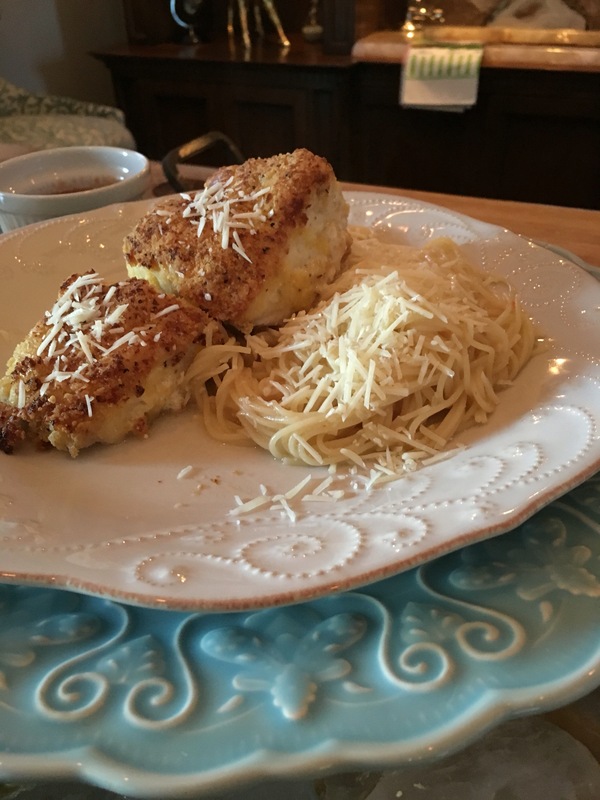 In separate bowls, fill one with a flour, 3 beaten eggs, and a combination of parmesan and panko. 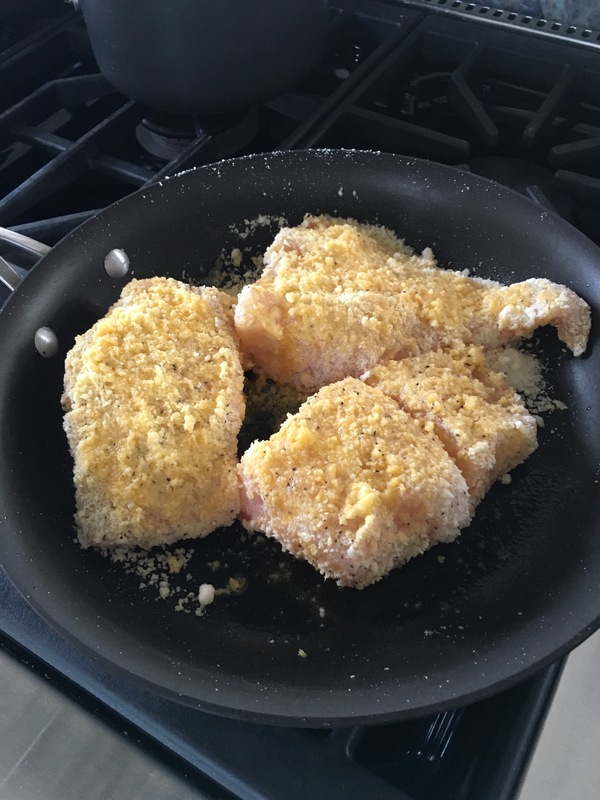 Warning: use big bowls or you will make a mess as you coat the filets with the flour, then egg, and parm/panko. Get a nice equal crust on all sides of the fish. Sear the filets for 2 minutes on each side or until they get a nice golden brown crust. 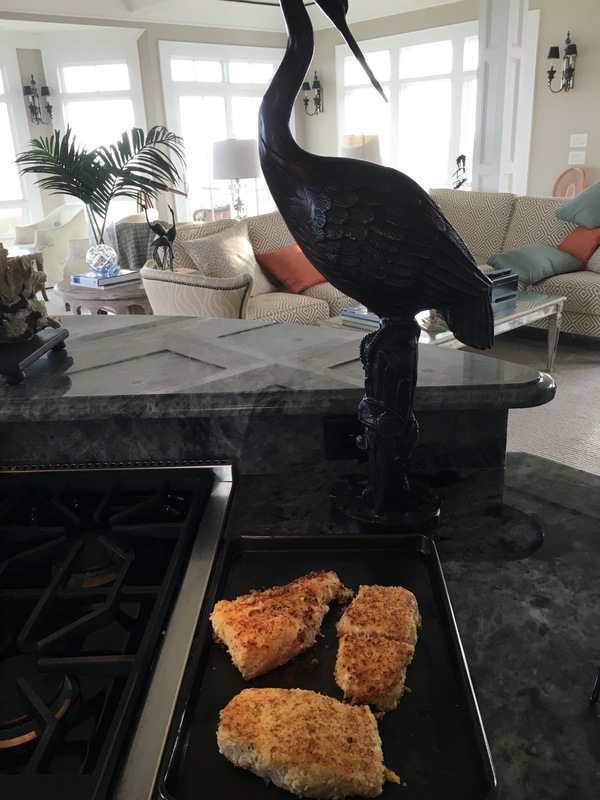 Start preheating your oven to 375 to finish the cooking process. Transfer them to a baking sheet, once the sear is complete and bake for 30 minutes at 375. 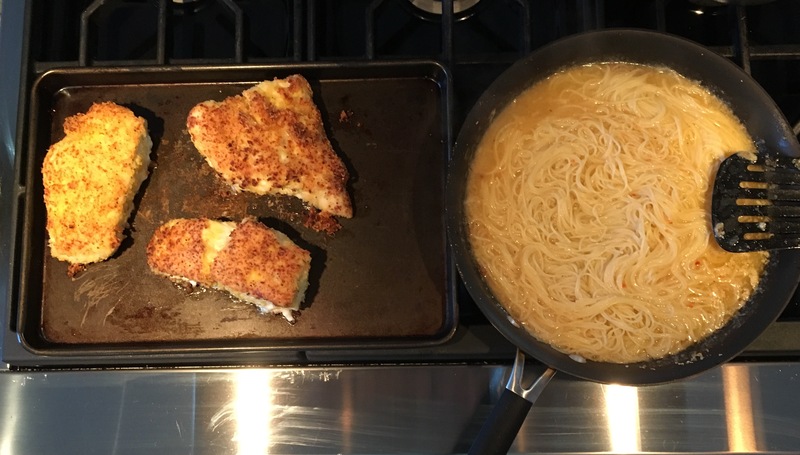 We like to eat our grouper with Angel hair pasta. While your fish is baking, combine a stick of butter (super unhealthy I know), half a bottle of Kraft fat free Zezty Italian dressing, and half a cup or so of white wine into a stirfry pan on medium. After your pasta is done, add it to the simmered sauce. 30 minutes later and voila you’re ready to eat.